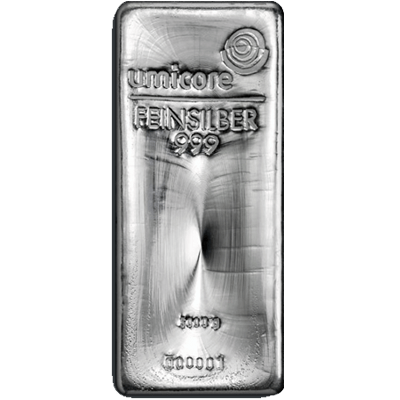 Brand new 5000 gram Cast Fine Silver (999.0) Bar manufactured by Umicore. 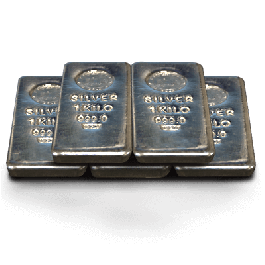 The largest bar in our silver collection and comes complete with certification. Priced on next available fix from call. 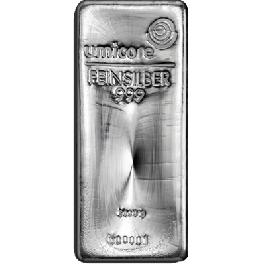 Your 5 Kilogram Silver Bar Umicore will be delivered to you free of charge and fully insured during transit, in a nondescript package that will not draw attention to the nature of the contents.